Kemal Kılıçdaroğlu was born in 1948 in Tunceli. He continued his primary and secondary education across various localities of Anatolia including Erciş, Tunceli, Genç, and Elazığ. He completed his Bachelor’s degree in Ankara Economic and Commercial Sciences Academy (Gazi University) in 1971. He started his career in the Ministry of Finance in 1971. He then became an account specialist and spent one year in France. He continued his duty as an account specialist until 1983, when he was appointed to the General Directorate of Revenues. He first took office as head of department, then he became the Deputy Director General of this institution. Kemal Kılıçdaroğlu was appointed to the Social Security Organization for Artisans and Self-Employed (Bağ-Kur) in 1991, where he acted as the Director General. He started to work in the Social Security Organization (SSK) in 1992. Afterwards, he took office as the Deputy Secretary of the Ministry of Labour and Social Security of the Republic of Turkey. In 1994, he was presented with the ‘Bureaucrat of the Year’ award by the Economic Trendmagazine. Kemal Kılıçdaroğlu retired from the Social Security Organization in January 1999. Kılıçdaroğlu taught at the Hacettepe University and chaired the Specialized Commission on the Informal Economy within the framework of the preparation of the Eighth Five-Year Development Plan. He also acted as a member of the Executive Board of İş Bank. Kemal Kılıçdaroğlu was elected as a deputy from the Republican People’s Party (CHP) for Istanbul in the General Elections held in 2002. 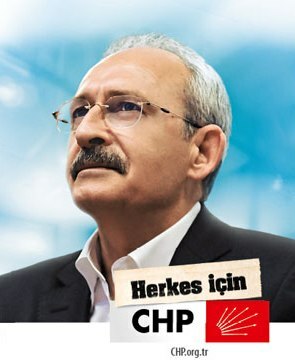 Serving in the CHP Central Executive Board, Kemal Kılıçdaroğlu was once again elected as a deputy for the İstanbul province in the General Elections held in 2007. He acted as the CHP Parliamentary Group Vice-President until he declared his candidacy for the leadership of the CHP. Kılıçdaroğlu’s efforts to uncover malpractice among high-ranking AKP politicians and their complicity in a corruption scandal relating to the “Deniz Feneri” charity based in Germany carried him to headlines in the Turkish media. Two deputy chairmen of the ruling AKP had to resign from their positions in the party following television debates with Kılıçdaroğlu. 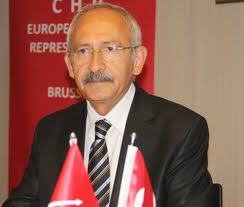 Kemal Kılıçdaroğlu was elected as the CHP President at the 33rd Ordinary General Assembly of the Party held on 22 May 2010. He was elected Vice-President of the Socialist International (SI) in 2012.